How many stars would you rate this recipe? How often do you eat Fried Rice? 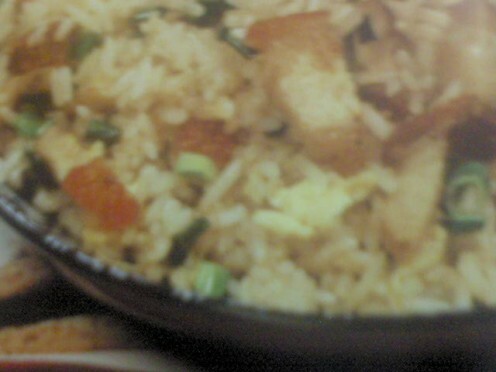 Why do people eat Fried Rice? Malaysia has a melting pot culture from different races. Hence, it is no wonder that Malaysia has a wide variety of staple food which are commonly eaten anytime of the day. 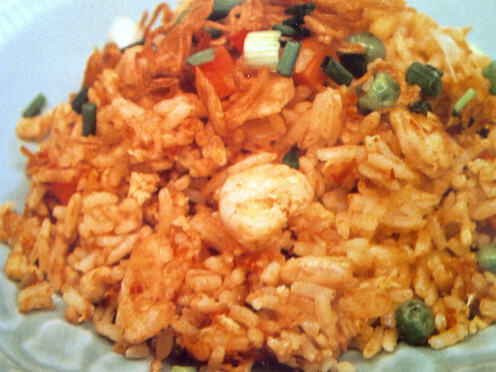 The most common and popular food with Malaysians is Nasi Goreng which literally means Fried Rice. It is usually a combination of overnight cold rice stir fried with basic ingredients such as vegetables, meat or seafood and various sauces or paste to enhance different flavors. 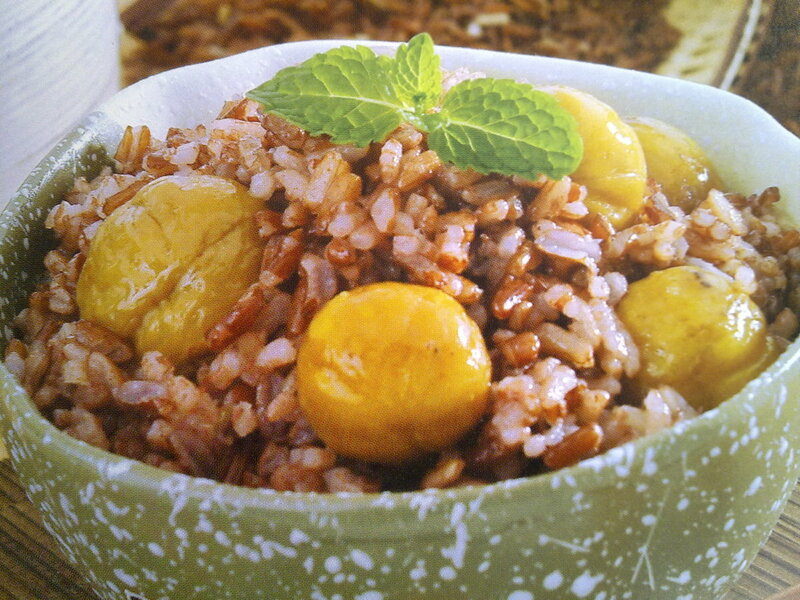 Although Fried Rice is usually eaten for lunch and dinner, some Malay and Chinese families have it in the morning for breakfast. Consuming Fried Rice in the morning makes one stomach feel fuller which could sometimes last till tea time or lunch time. 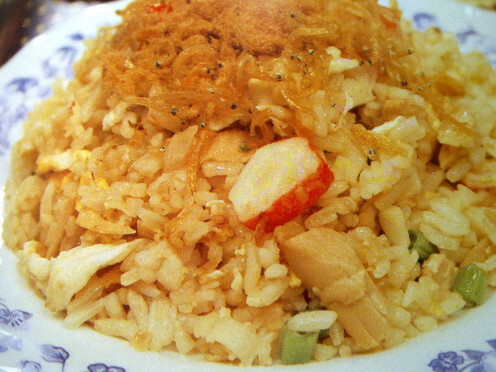 Fried Rice is full of carbohydrates and provides a great source energy for people who uses manual strength during work. Some may find it too heavy for breakfast while other families must have it almost everyday similarly to Western people have toast bread for breakfast. How to prepare Fried Rice? Fried rice is a wholesome meal by itself. 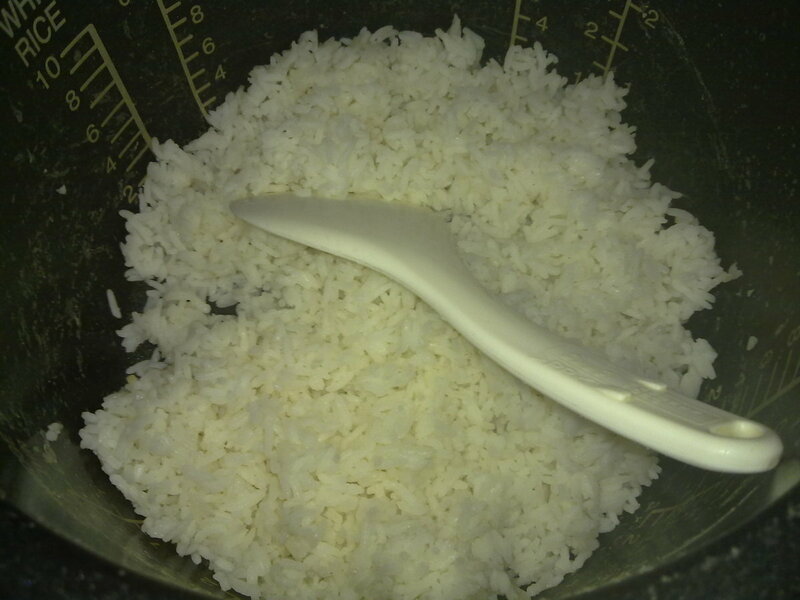 Some people may use overnight white rice or brown rice. You can add in all sorts of ingredients into the wok mixing together while frying the overnight rice. For those who prefer spicy dishes, you could add in spicy sauce such as sambal (shrimp paste) to enhance the fried rice spicy flavor. If you want something healthier, open up a can of tuna and toss them into the fried rice for more Omega3 nutrients, swirl in a little light soy sauce and dash of pepper to enhance the flavor. Tom Yum paste is popular among the local Malays as they are less spicy than sambal paste. It has the euthentic taste of lemon grass with chilli bean paste aka Thai sauce. 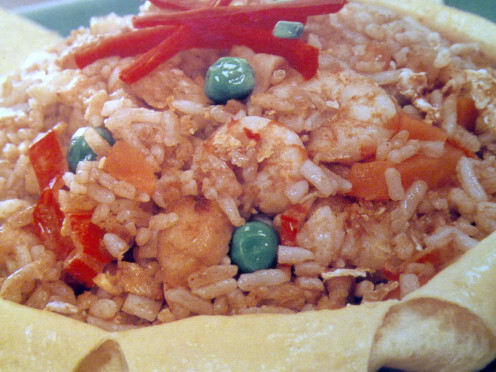 Below are some Fried Rice recipes from different races; Malay, Chinese, Vegetarian and Indian. Heat up with 1tbsp oil. Stir fry garlic and roast pork until aromatic. Add in cold rice and seasoning except soy sauce. Keep stirring until almost dry. 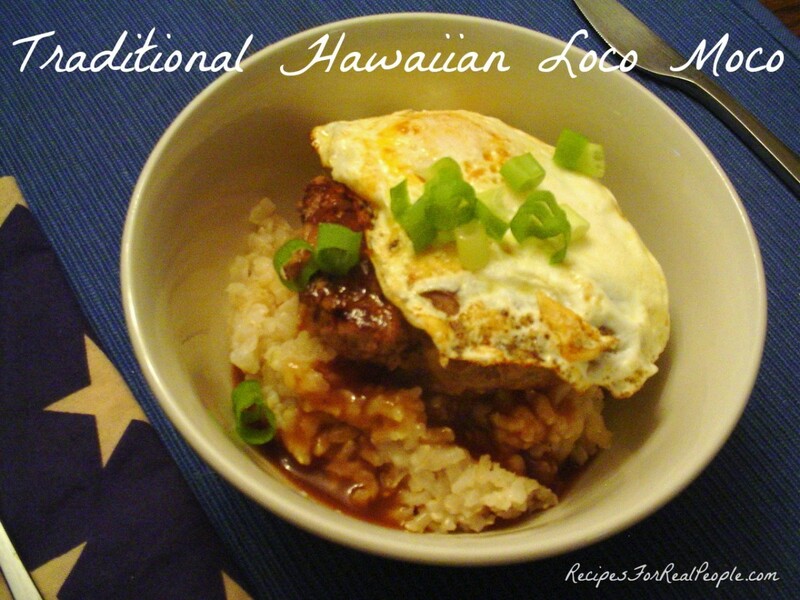 Pour in beaten egg in circle over the rice. Keep stirring. Add in soy sauce and spring onion. Stir for a couple of minutes. Serve hot. I prefer to buy fresh pork belly from the wet market to fry my homemade Five Spiced Roast Pork Belly. However, I don't get fresh pork all the time as the market is located far from my residential area. Hence, buying BACON online is very convenient and it is gluten FREE! It comes in 72 slices , fully cooked and fresh! I used this bacon for sandwiches , Fried Rice, Ramen Noodles and homemade American Breakfast with baked beans. This bacon comes in a pack, neatly arranged, less fats, tasty and easily cook without oil if you use frying pan or even microwave oven. Once, I was so lazy that I even sandwich the bacon into two sices of bread, toast them in the sandwich maker and it came out cooked! Can't buy Pork Belly? Buy BACON! Heat up wok with 1tbsp oil. Fry garlic with mix vegetables. Add in prawns. Don't overcook them. Pour in cold rice and seasoning except soy sauce & black sauce. Keep stirring. Pour in beaten egg making a circle around the rice. Keep stirring. Add in both sauce, spring onion and fried shallots. Stir for a while. Serve hot. Mixed vegetables are packed with different healthy ingredients for any simple dish. It is usually a combination of cubes of carrots, corn kernels and green peas. You can either buy them online, cheap, fresh and you could use them for several dishes, worth the price. Pantai Shrimp Paste with Soya Bean Oil 7 Oz. 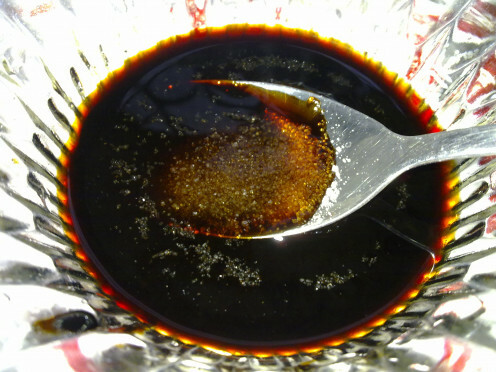 Heat up wok with 1tbsp oil. Fry shallots and garlic until fragrant. Add in chicken meat and prawns. Stir fry until aromatic. Pour in beaten egg slowly. Continue to stir-fry. 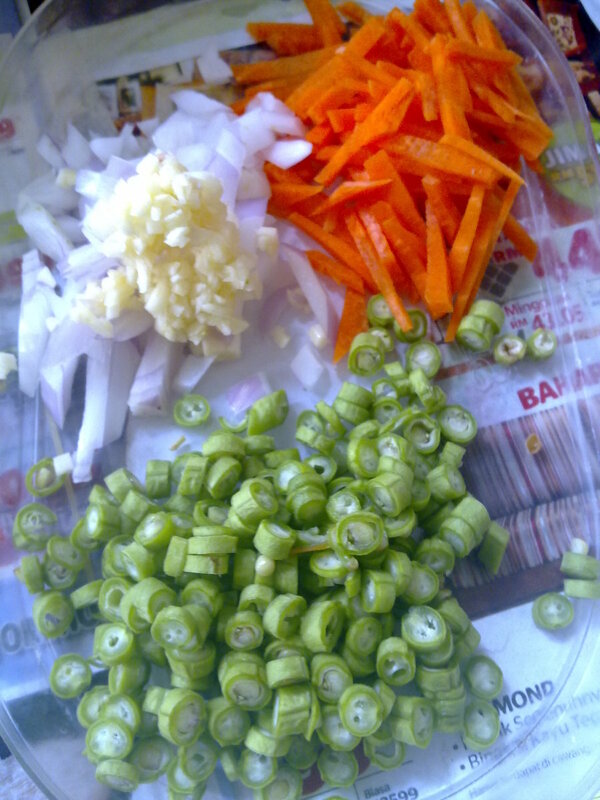 Add in cold rice, mix vegetables, red chillies and sambal. Keep stirring until all combined and fragrant. Sprinkle spring onion and fried shallots on top. Serve hot. Do you like Fried Rice with side dishes? To make egg skin, combine egg and cornstarch together. Beat well. Heat up frying pan with a little oil. Pour in egg mixture letting it spread around the pan like a pancake. Cook until golden brown both sides. Remove and set aside. Heat up 2tbsp oil. Pour in beaten egg slowly and stir fry to form into fluffly. Add in prawns, fishcake, chicken meat and seasoning. Add in cooked rice and mixed vegetables. Keep stirring until slightly dry. Place egg skin into a bowl. Pour the rice on top. Wrap it up nicely. Overturn the bowl into a plate. Spread chill sauce on top. Serve hot. Wash brown rice. Pour in 200ml water. Cook until done. Remove rice and leave it to cool. Heat up 3tbsp oil in wok. Pour in beaten egg slowly, stir fry quickly to form into fluffly. Add in diced corn cobs, seasoning and cooked brown rice. Stir constantly until well combined. Lastly, add soy sauce and medlar seeds and nuts. Stir fry until rice aromatic. Serve hot. Nasi Lemak is also known as Coconut milk Rice in overseas. 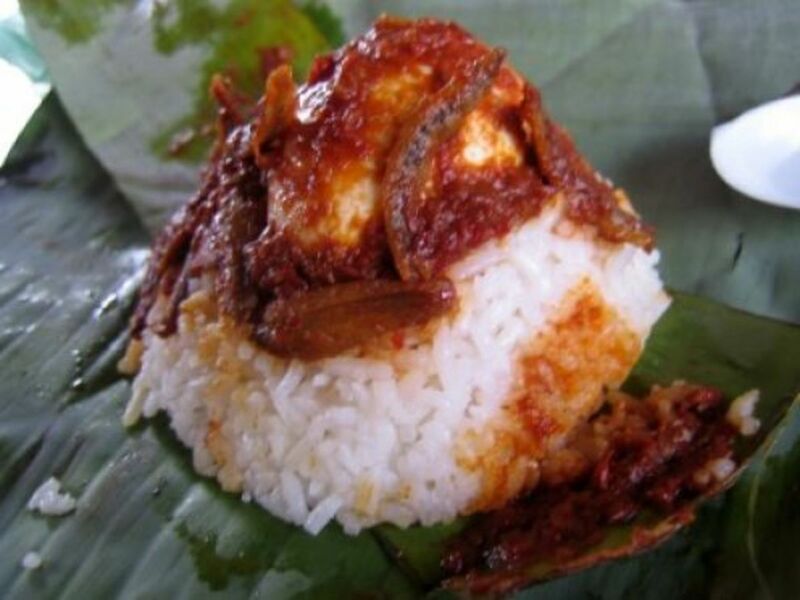 Many people in Asian countries love to eat nasi lemak in the morning for heavy breakfast or lunch. The secret to this recipe that makes it famous all over the world is the spicy sambal. Those look delicious. 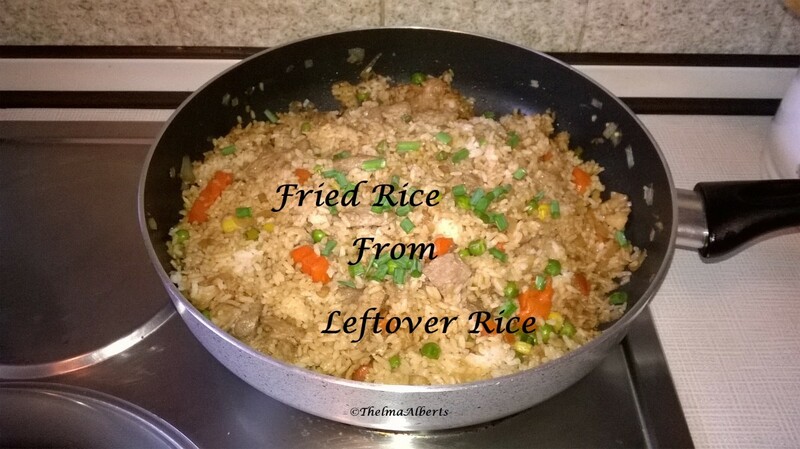 I love fried rice and that´s what I mostly do when I have leftover rice. 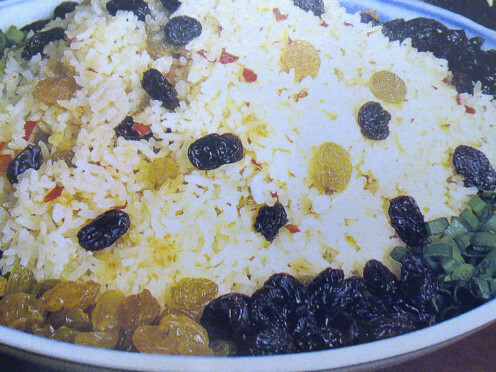 I have not tried making fried rice with nuts, sultanas or raisins. Thanks for sharing the recipes. I love home made fried rice. My oldest son loved it so much, I named it Joey Rice. Now it's well known in our family. I'm definitely going to try your recipes. yes, i do like fried rice especially the tuna. Wow.. Good collection of easy to make recipes. All are looking very delicious and mouth watering. thanks for reading. 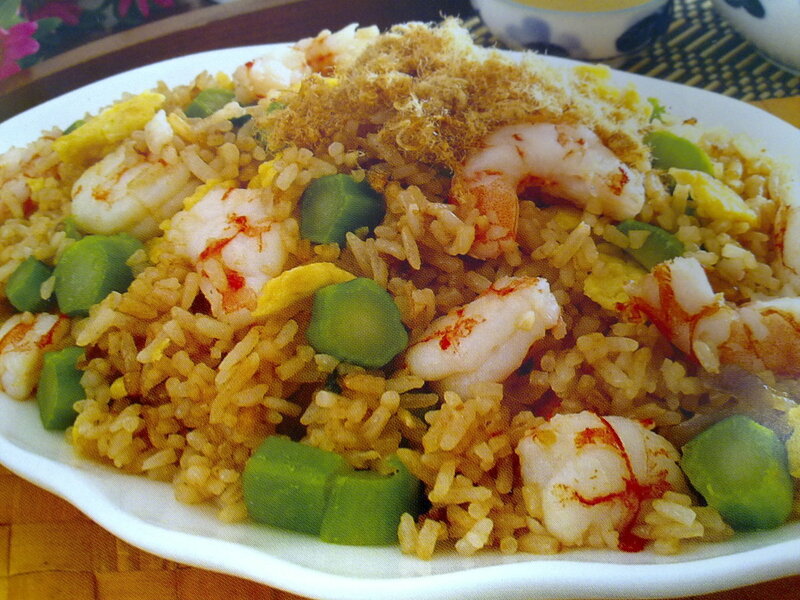 Hope that you will enjoy the fried rice and let me know yr comments, k? We will be trying some (or all) of these on our new wok. Nice, informative Hub. You will surely fall in love with these fried rice recipes. 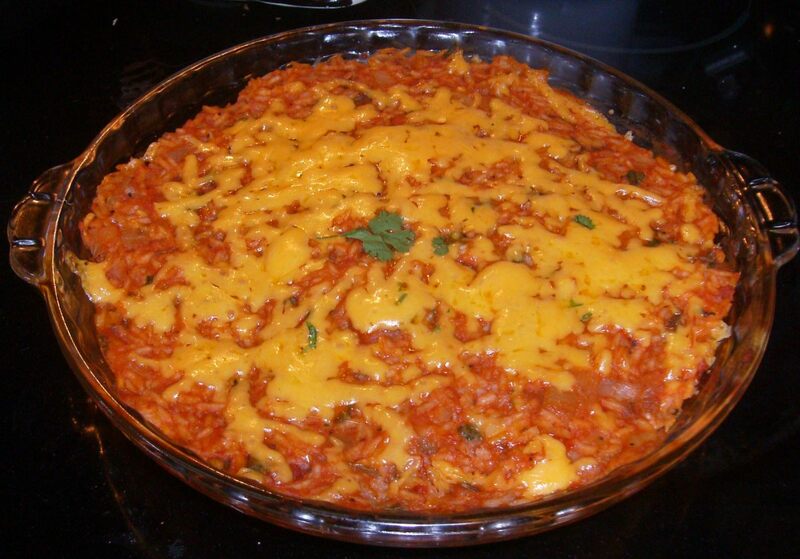 Easy to cook and save all the hassle of preparing side dishes. Dear Peachpurple - Thanks for your answer - I can create complex pharmaceutical and industrial compounds but can barely boil an egg. My beautiful wife is the talented chef in the household and she spolis me with wonderful cooking. Thanks for reading my hub. Glad to know someone who love Malaysian food. Do you cook on your own or eat outside all the time? I love rice! Yummmy! Now I have more variety recipes for cooking. Thank you for sharing peachpurple! Voting up and useful!